13/5/2018. 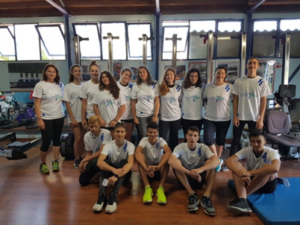 The SAFEYOU team promoted the ‘know your body, know your substance’ message to the rowing team of the Sailing Club of Thessaloniki, in Greece. The athletes were informed about the SAFE YOU project aims and activities. The SAFEYOU team aimed to increase awareness among young athletes about the hazards of doping use and the value of health promoting physical activity.